The iOS 12 Update attracted a sizeable amount of attention for its well-lauded features. Most of the Apple users have upgraded to the devices successfully. While some are swooned with its incredible enhancements, others have felt stabbed as their iPhone got stuck on the Apple screen. The iPhone 7 users also experienced a similar issue where their iPhone didn't turn on and went stuck on Apple logo. This article is committed to rescue the iPhone 7 from the blues of stuck issues, as we've come up with the possible hacks and useful software for fixing the problem of iPhone X/XS/8/7/7 Plus/6/6 Plus/5s and iPad getting stuck on Apple logo during/after iOS 12 update. When your iPhone stuck on Apple screen, the easiest way to resolve the issue by trying to force restart your iPhone/iPad. We've covered the methods for iPhone of various models below. Follow the step, according to your model. iPhone 6s or below: For restarting the iPhone, hold the 'Home' and 'Sleep/Wake' buttons together until the Apple logo appears on the screen. iPhone 7/7 Plus: To force restart on iPhone 7, press and hold the 'Sleep/Wake' and 'Volume Down' buttons together until you are not directed to the Apple logo appears. .
iPhone 8/8 Plus/X: Quickly press and release the 'Volume up'. Repeat the step with the 'Volume Down' button. Now hold the 'Power' button till Apple logo does not appear on the screen. What if your iPhone fails to recover from the stuck on Apple logo issue? Perhaps, you may incur data loss! 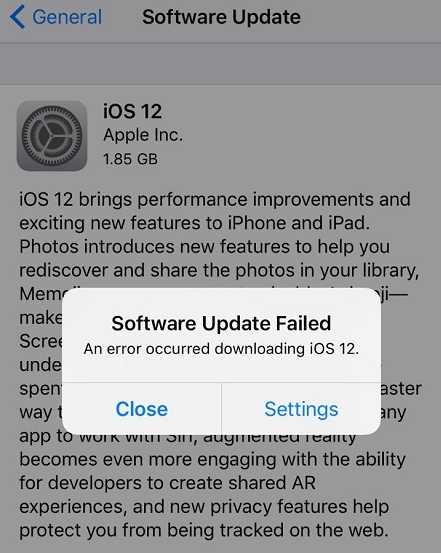 So, to ensure that you do not run out of your data, you must download Any iOS System Repair (ReiBoot), powerful repairing software designed for the users to recover from the iPhone stuck on Apple screen issues, frozen screen issue or any other issue that hampers your flow of work. The best part about Any iOS System Repair (ReiBoot) is that you do not need iTunes to restore your device from any of the iOS issue. Following is the detailed guide which is the solution on how to fix iPhone with Any iOS System Repair (ReiBoot) using the fix all iOS Stuck feature of Tenorshare's Any iOS System Repair (ReiBoot). 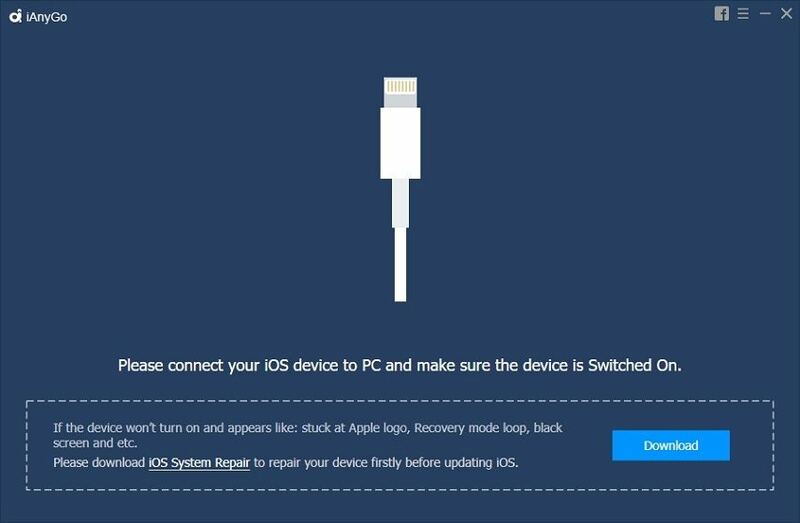 Step 1: Launch Any iOS System Repair (ReiBoot) on your PC and connect it with your iOS device via USB cable. 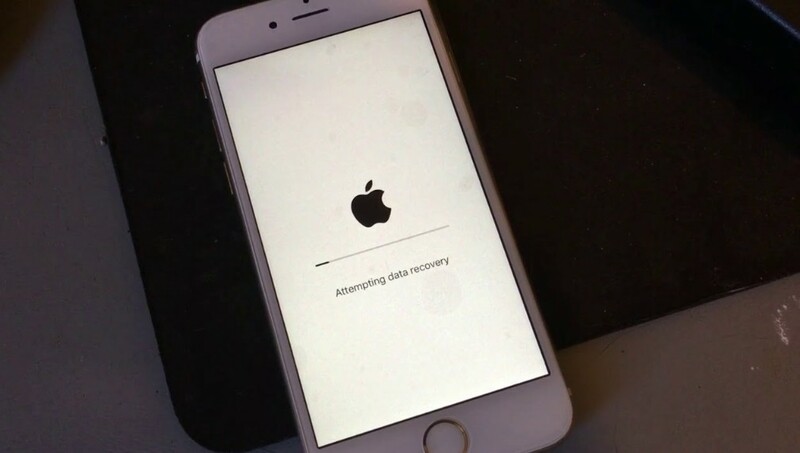 Your device will appear on the screen along with the recovery options out of which opt for 'Repair Operating System' to fix iPhone getting stuck on Apple logo. Step 2: From the following interface, hit the 'Start Repair' button to proceed fixing the iPhone stuck on Apple screen. Step 3: Now, hit on 'Download' to allow the program in order to download latest compatible firmware package automatically. Step 4: Once the firmware package is downloaded, click on ' Repair Now'. You will view the progress table of recovering the iPhone stuck on Apple logo. There is yet another way of solving the stuck issue of iPhone by restoring in the DFU mode with iTunes. Please note that this method will lead to data loss. We've listed down the methods depending upon the iOS device. Follow accordingly. •	Hold the 'Sleep/Wake' and 'Home' buttons (in iPhone 6 or below) or 'Volume Down' (in iPhone 7/7 Plus) buttons together for about 8-10 seconds. •	Now, release the 'Sleep/Wake' buttons whereas keep holding the other buttons until the screen will turn blank or black. •	Begin with tapping the 'Volume Up' key. Repeat the same with 'Volume Down' key i.e. press and release the key immediately. Hold down the 'Power' button now until you find the screen going black. •	Upon screen turns black, start holding down the 'Volume Down' button and 'PPower' buttons altogether. •	Subsequently, release the 'Power' button whereas keep holding the 'Volume Down' button until you see your device detected by the iTunes. Step 2: Once you get on the DFU mode, load iTunes where a message stating "iTunes has detected an iPhone in recovery mode. You must restore this iPhone before it can be used with iTunes." will appear. Hit on 'Restore' and finish the process. This article has thrown light upon various ways through which one can resolve the issue of iPhone getting stuck on the apple logo. While, the forcing restart and DFU mode restore can be useful for performing on iPhones but there is no guarantee of fixing the issue of iPhone stuck on Apple logo. Which is why, we encourage the users to use Tenorshare's Any iOS System Repair (ReiBoot), secured and reliable software that helps in unwinding major iOS problems faced by the users in just 4 simple steps. Also, Reiboot allows the users to work without any limitations as well as requires no technical knowledge.